It took a long time and a series of fits and starts before Peter and Bobby Farrelly’s The Three Stooges got off the ground. But now that the cast is in place – with Sean Hayes (Larry), Will Sasso (Curly) and Chris Diamantopoulos (Moe) in the leading roles – we’re actually at the point where we’re starting to see promotional material for the comedy, which will be distributed by 20th Century Fox. 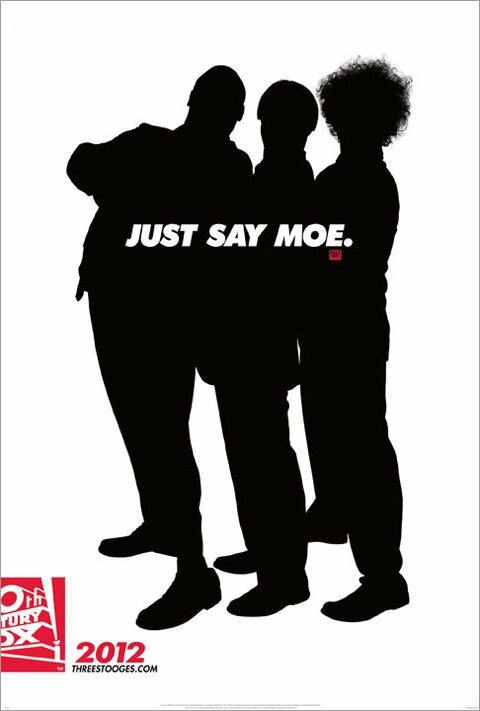 A teaser poster has just been uploaded to the Three Stooges official site, which we’ve posted below. A trailer, hopefully, will follow soon because I’d like to see how these actors come across in the roles. The Farrellys have surrounded their Stooges with ample talent too, with Jane Lynch, Jennifer Hudson, Sophia Vergara and Larry David all cast in supporting roles. They’ll help move around the plot, which involves the three guys trying to solve a mystery and ending up on their own reality television program. Sounds feasible. Back when the Farrellys were recruiting Sean Penn, Jim Carrey and Benecio Del Toro for the leads, I’d have bet you my mortgage that The Three Stooges would languish in Development Hell, so to speak, and we’d never see it in theaters. But now it has a teaser poster, and a release date of April 4, 2012. Think you’ll go see it?